Acceptible Use: This Site is intended to provide users with general information. 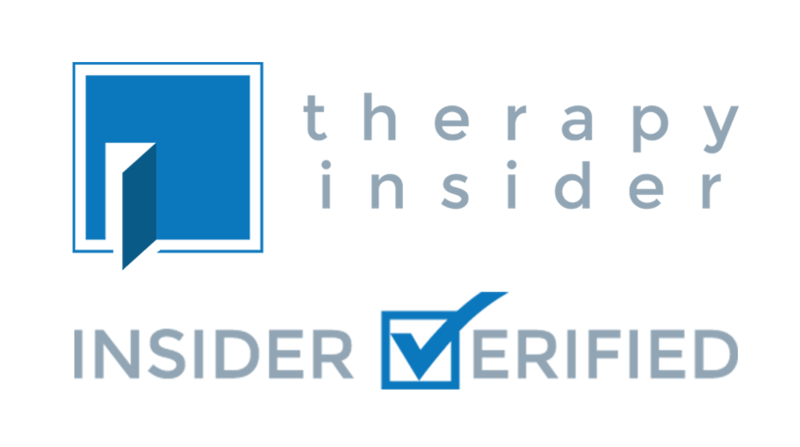 We do not recommend or endorse any specific professionals, tests, products, procedures, opinions, or other information that may be mentioned on the Site. Reliance on any information provided by us, our employees, others appearing on Site at our invitation or other visitors to the Site is solely at your own risk. Your use of the Site is a privilege. (6) anything that is embarrassing or offensive to another person, group or entity. (5) post opinions or notices, commercial or otherwise. Conduct Rules: You may not respond to postings by other users in any manner or for any purpose other than that which is expected. Responses soliciting business are prohibited. Report inappropriate postings or conduct to [email protected]. (5) forging any TCP/IP packet header or any part of the header information in any e-mail or newsgroup posting. Rights Reserved: We hereby grant you a limited, terminable, non-exclusive right to access and use the Site only for your personal use. This authorizes you to view and download a single copy of the material on the Site solely for your personal, noncommercial use. You must include the following notice in any downloaded materials:a) "Copyright Family Help 411, Inc. Except as otherwise expressly permitted under copyright law, no copying, redistribution, retransmission, publication or commercial exploitation of downloaded material will be permitted without the express written permission of Family Help 411, Inc."
You may not sell, transfer or assign any products or services or your rights to any products or services provided by us to any third party without our express written authorization. You may not copy, modify, alter, or excerpt (or encourage or help others to copy, modify, alter, or excerpt) the Site materials. a) We make no representations or warranties whatsoever regarding the Site and any materials on the Site. NOTWITHSTANDING ANYTHING TO THE CONTRARY IN THESE TERMS OF SERVICE OR ELSEWHERE, THE SITE IS PROVIDED ON AN "AS IS" BASIS. TO THE FULLEST EXTENT PERMITTED BY LAW, WE HEREBY DISCLAIM ALL WARRANTIES, EXPRESS OR IMPLIED, INCLUDING, WITHOUT LIMITATION, ANY IMPLIED WARRANTY OF FITNESS FOR A PARTICULAR PURPOSE, ANY IMPLIED WARRANTY OF NON-INFRINGEMENT AND ANY IMPLIED WARRANTY OF MERCHANTABILITY. WE MAKE NO WARRANTY ABOUT THE ACCURACY, RELIABILITY, COMPLETENESS OR TIMELINESS OF THE SITE. WE MAKE NO WARRANTY THAT THE SITE'S SERVICE WILL BE UNINTERRUPTED, THE SITE'S FUNCTIONS SHALL BE ERROR-FREE OR, THAT THE SITE OR THE SERVERS THAT MAKE IT AVAILABLE ARE FREE OF VIRUSES OR OTHER HARMFUL COMPONENTS. The Site is not intended to be a substitute for professional advice. Under no circumstances will we be liable for any loss or damage caused by your reliance on information obtained through the Site. It is your responsibility to evaluate the accuracy, completeness or usefulness of any information, opinion, advice or other content available through the Site. Please seek the advice of professionals, as appropriate, regarding the evaluation of any specific information, opinion, advice or other content. Never disregard professional advice, including medical advice, or delay in seeking it, because of something you have read on this Site. Our bloggers who post articles to our Site are not employed by us or Family Help 411, Inc. Each blogger is solely responsible for the content of his or her articles. We do not undertake responsibility for screening or monitoring our bloggers' materials. The opinions expressed by the bloggers are their own and are not our opinions or endorsed by us. Further, we explicitly disclaim any responsibility for the accuracy, content or availability of information found on a site that links to or from the Site (a "third-party site"). We may offer links to, or incorporate into the Site, third-party sites that offer various products and/or services. We cannot ensure that users will be satisfied with any products or services that are purchased from such a third-party site, since such sites are owned and operated by others. We do not endorse any of such products or services, nor have we taken any steps to confirm the accuracy or reliability of any of the information contained in any third party sites. We do not make any representations or warranties as to the security of any information (including credit card and other personal information) users might be requested to give a third-party site. We strongly encourage users to make their own investigation of third-party sites before proceeding with any transaction with such third parties. Copyrights and Copyright Agent: We respect the rights of all copyright holders. If you believe that your work has been copied in a way that constitutes copyright infringement, please provide our Copyright Agent the following information required by the Online Copyright Infringement Liability Limitation Act of the Digital Millennium Copyright Act, 17 U.S.C. §512. Each party irrevocably consents and agrees that any legal action, suit or proceeding against either of them arising out of, relating to or in connection with the transaction contemplated hereby or disputes relating hereto may be brought only in United States District Court for the Southern District of Utah, or if such court does not have jurisdiction, in the courts of the State of Utah located in Washington County and hereby irrevocably accepts and submits to the exclusive jurisdiction of the aforesaid courts in personam, with respect to any such action, suit or proceeding. Notices. You shall send notices to us by mail or by email to our contact information listed below and addressed to the attention of LEGAL. Notices to you will be sent by mail or by email to the addresses you provide when registering. Notices shall be deemed given on the day actually received by recipient, if received as provided in this paragraph before 5pm on a business day in the recipient's location. Notices received after 5pm or on a non-business day shall be deemed received on the next business day.